The Reseller preferred “NO COST” processing payment software solution! Ask about our other fee options such as Cash Discount (DTI), Surcharge Fee (credit) and Merchant Fee (debit). Applied equally to credit and debit transactions. A value added feature of Dejavoo software available on all terminal models. Fee amount can be a percentage of the transaction amount, a flat fee or a combination of both. Fee amount is broken out on receipts, batch reports and in Denovo back office reporting. 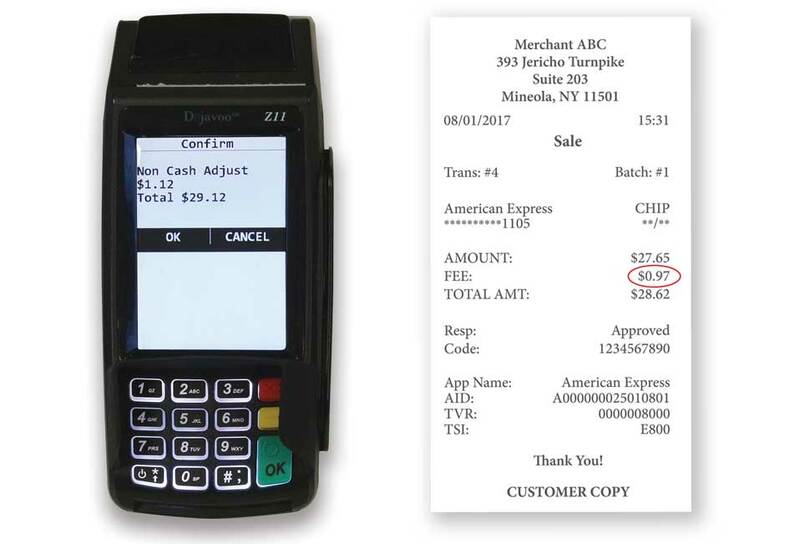 Merchants can have the option to simply bypass the fee amount or cancel the sale at their discretion. With no approval needed, it is as simple as setting in the file build! Both your merchants and YOU have access to a breakdown of transactions including Transaction Amounts, Custom Fee Amounts and Total Amounts, full receipts as well as batch reports from DeNovo, via web our our easy-to-access DeNovo Mobile iOS or Android App. 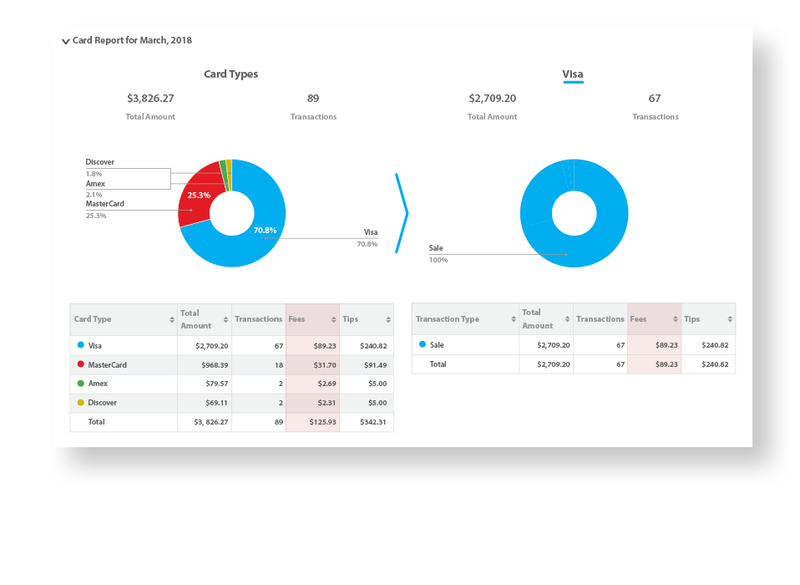 Custom Fee amounts can be viewed on transaction receipts, as well as in DeNovo Batch Reporting, in terminal settlement reports and on the DeNovo Summary Page. 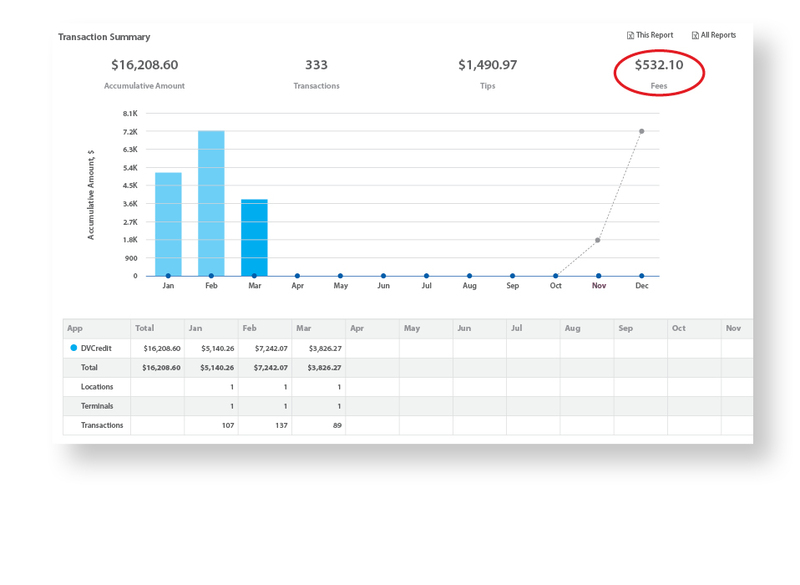 Your Merchants can view how much of their overall deposits were made up of the Custom Fee being charged to their consumers and you view can view all of your merchants data.